1. DRC Application No. 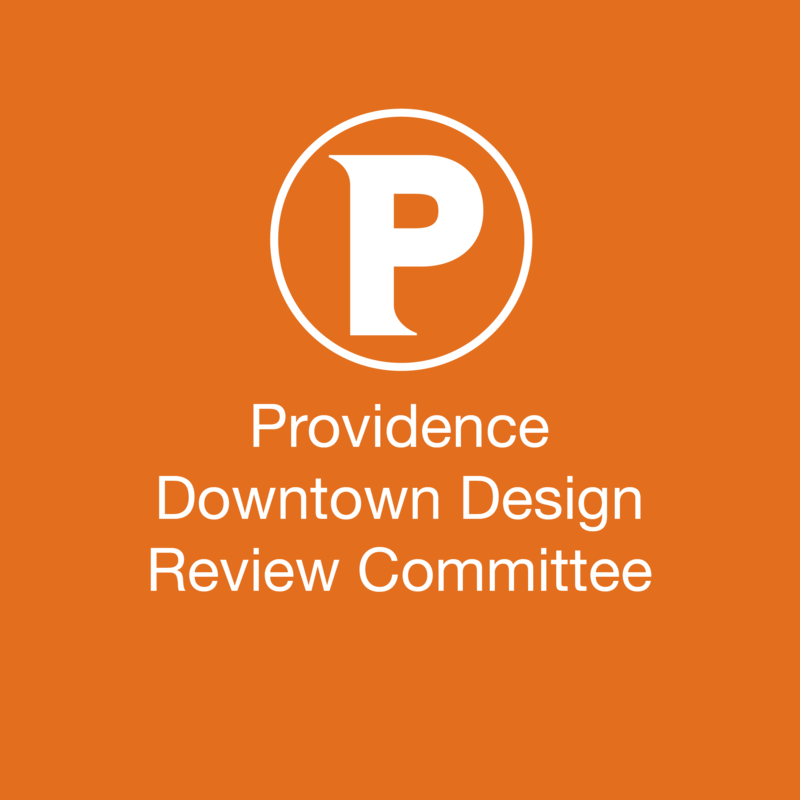 18.05: 131 Canal Street (parking lot) – Final Design Review – Continued design review of the proposal by Steeple Street RI, to construct a new 11-story mixed-use apartment building at 131 Canal Street, Providence, RI. The applicant was granted the requested development incentive in the form of a height bonus from Zoning Ordinance Section 603.E.1, Schedule of Development Bonuses/Active Ground Floor Uses at the March 27, 2018 DDRC meeting. 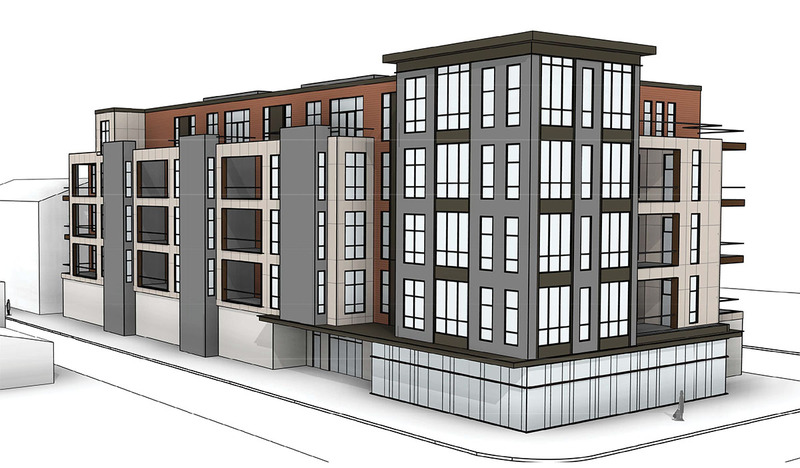 The applicant was granted the requested waivers from Zoning Ordinance Sections 606.A.4, Building Height and Massing/Recess line, 606.D.1, Building Height and Massing/Façade Design, 606.E.1, Façade Design/Ground Floor Transparency, and 606.E.3, Building Facades/Upper Level Transparency, and Conceptual Design Approval at the May 14, 2018 DDRC meeting. 2. DRC Application No. 18.07: 100 Sabin Street (former Fogarty Building site) – Public Hearing – The subject of the hearing will be an application by TPG 100 Sabin Hotel LLC, requesting a waiver from Zoning Ordinance Section 1607(H), Projecting Signs, which limits the square footage of projecting signs in the D-1 Zone. The applicant is proposing to install two internally illuminated projecting signs on the building currently under construction at 100 Sabin Street, Providence, RI. At the conclusion of the hearing, the DDRC will take action with respect to the requested item. The public hearing was continued from the May 14, 2018 DDRC Meeting. 3. DRC Application No. 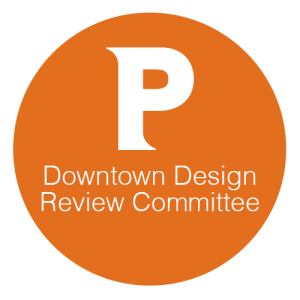 18.01: 169 Canal Street – Public Hearing – The subject of the hearing will be an application by Vision Properties, requesting a waiver from Zoning Ordinance Section 1607(H), Projecting Signs, which limits the number and square footage of projecting signs in the D-1 Zone. 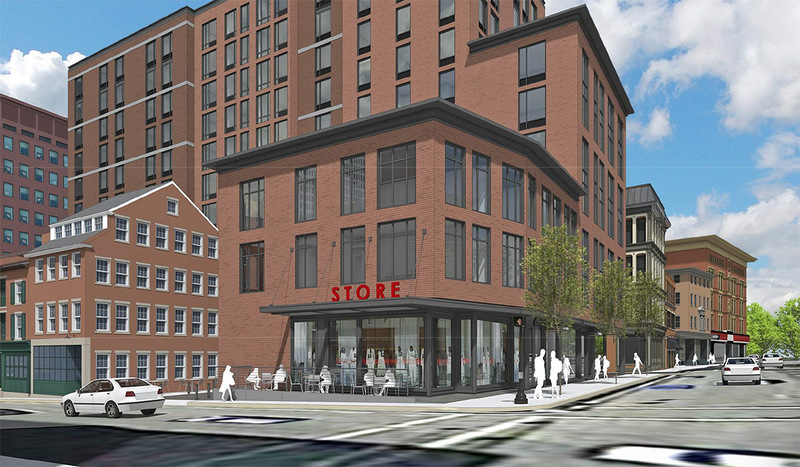 The applicant is seeking to install three (3) projecting signs on the Canal Street elevation of the building (under construction) at 169 Canal Street, Providence, RI. 4. DRC Application No. 18.16: 580 South Water Street (parking lot), East Side Overlay District – Public Hearing and Conceptual Design Review – The subject of the hearing will be an application by 40 Tockwotton LLC requesting waivers from Providence Zoning Ordinance Section 1103.D, East Side I-195 Overlay District Design Standards, for a new 5-story mixed-use building to be constructed at 580 South Water Street, Providence, RI. The waivers requested are from Sections 1103.D.1.a, Façade Design, which requires the building facade to occupy at least 80% of the lot frontage along Tockwotton Street, and 1103.D.5.e, Parking, which requires the ground floor parking structure to be physically separated from South Water Street by a linear distance of at least 20 feet. At the conclusion of the hearing, DDRC will take action with respect to these items. The DDRC will also be reviewing the building design. Does the zoning need another refresh? Seems like every single project is asking for waivers in this city.